Sts read the riddle and guess the answer. There are comparative adjectives too. The above printable, downloadable handout is a great resource for high school students and elementary school students at Elementary (A1) level. 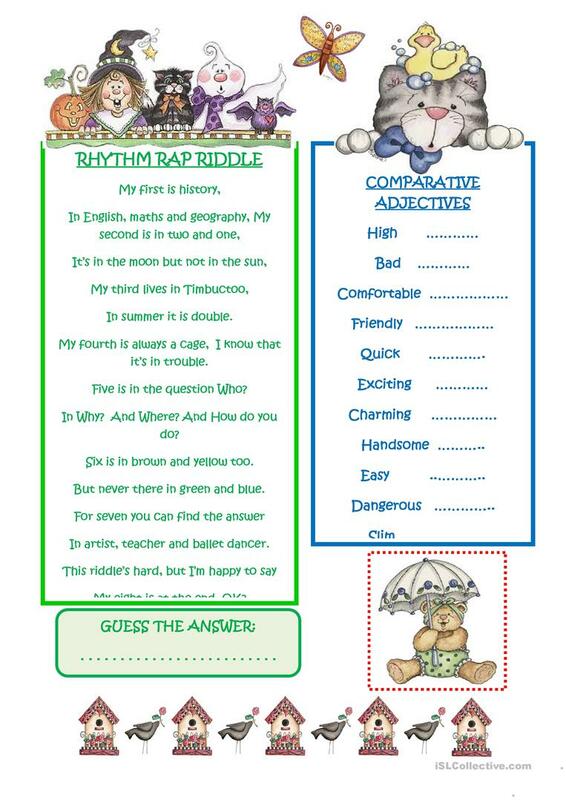 It is a useful material for teaching Comparison (comparative and superlative) in English, and is excellent for working on your learners' Speaking, Reading and Writing skills.